Superstar Mahesh Babu and director Koratala Siva landed in Vijayawada this morning. After offering special prayers at the Kanakadurgamma Temple, BAN’s team will catch up with a special screening of the movie amidst elated fans later today. 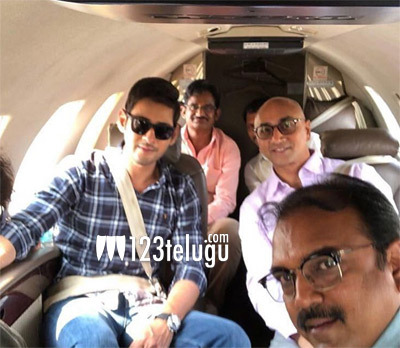 This evening, Mahesh, Koratala Siva and the rest of the core team will be flying to Tirupati. Tomorrow, after offering early morning prayers to Lord Balaji, the Superstar and the film’s team will head to the main theater that’s playing Bharat Ane Nenu. Mahesh will interact with fans in the special screening. Mahesh’s whirlwind promotions will surely boost up the film’s collections over the weekend. Bharat Ane Nenu has already broken several non-Baahubali 2 records in the first week.